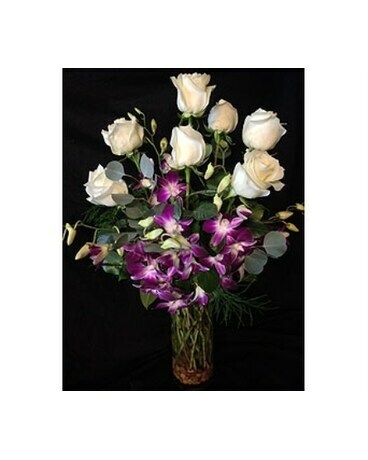 The Snowy Splash is make with beautiful White Roses and vibrant Purple Orchids in a tall cylinder vase. This is one of our most popular roses mixed with our most striking Orchid. This is the perfect arrangement for any occasion!